Available with non-absorbable mesh for delivery. Commonly used on light-to-moderate bleeding bone. 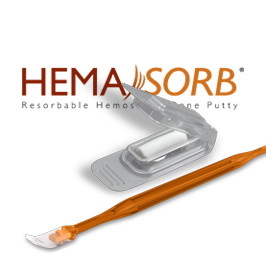 Available in syringe-like applicator and non-absorbable mesh for delivery. 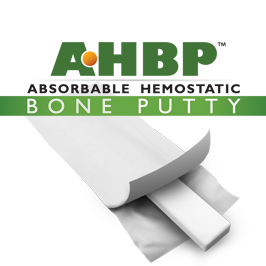 Commonly used on moderate-to-heavy bleeding bone. 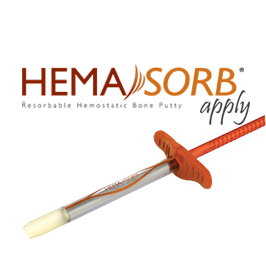 Syringe-like applicator provides ease-of-delivery to bleeding bone surfaces that are difficult to access. Cleared for use with autograft in a 1:1 ratio. Resorbs during bone remodeling process. 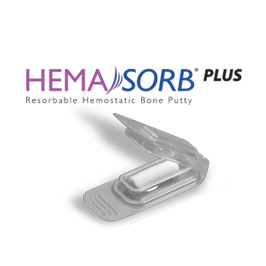 Hardens within minutes and achieves bone-like properties.